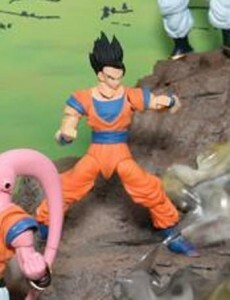 To help with the Buu saga Figuarts toys they are releasing an adult version of Gohan to help build up numbers for the good guys. Adult Gohan looks like he might be just a head swap on the Goku figure but this is just an early prototype so the actual toy will hopfully differ and come with more accessories. The Buu saga is the last from the Manga but probably wont be the last in the toy collection. We have already started seeing anime toys being released with Broly and hopfully they will go back to other main characters which they have missed including Bulma and Master Roshi.